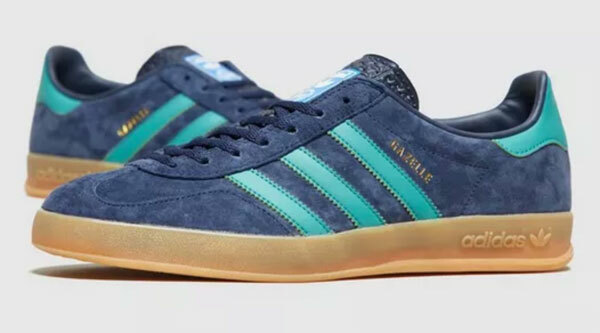 I don’t think the style has been on the shelves since 2016, so good to see a return of the Adidas Gazelle Indoor trainers. 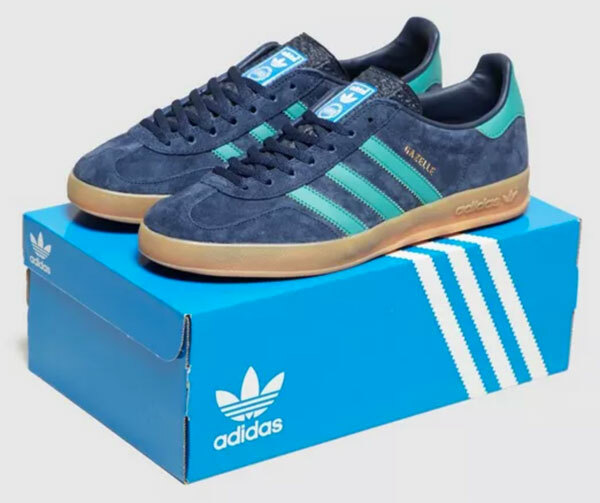 The Gazelle Indoor is a 1970s variation of a 1960s classic and was a regular on the shelves a few years ago in both suede and leather finishes. But they have slipped off the radar a little since. This version is in blue with turquoise detailing, packing all the details you would expect, along with a ‘washed out’ upper for a vintage look. 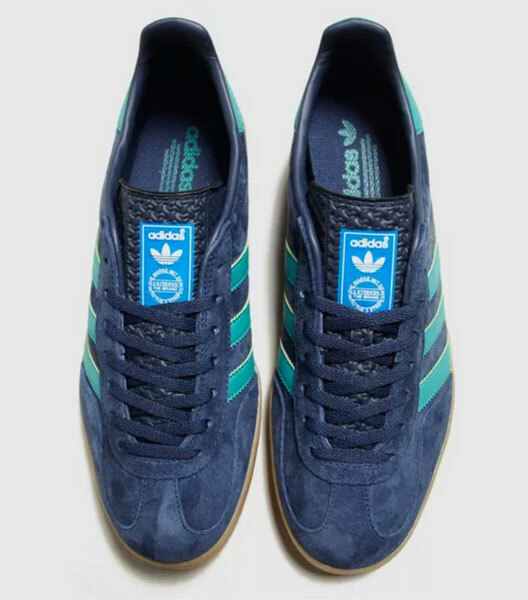 So expect a suede upper in navy, turquoise leather for the stripes and heel, a ridged tongue, a T-toe overlay and the gum sole. Not sure the latter is as transparent as past reissues, but there is a degree of transparency there. Just landed, the Adidas Gazelle Indoor trainers retail for £75.